Hiding cords is what we all strive to do: it makes your home much neater and more organized but sometimes you can’t hide them at all. 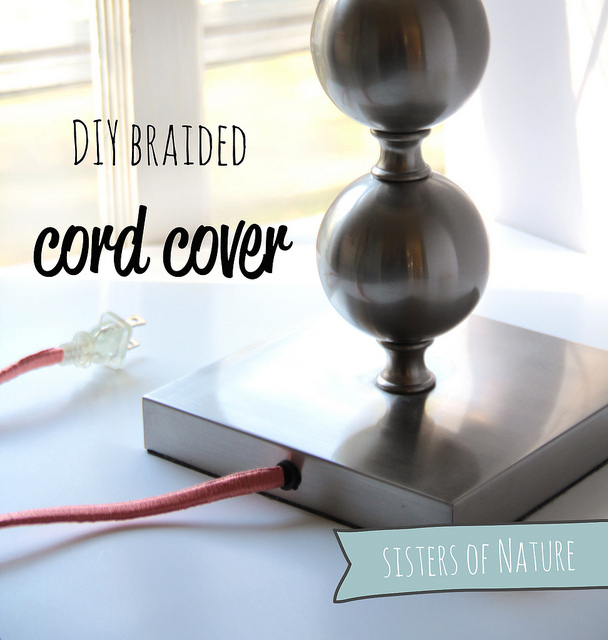 How to spruce up a cord that you can’t hide? There’s an easy way to do that – just wrap or cover your cord with something! 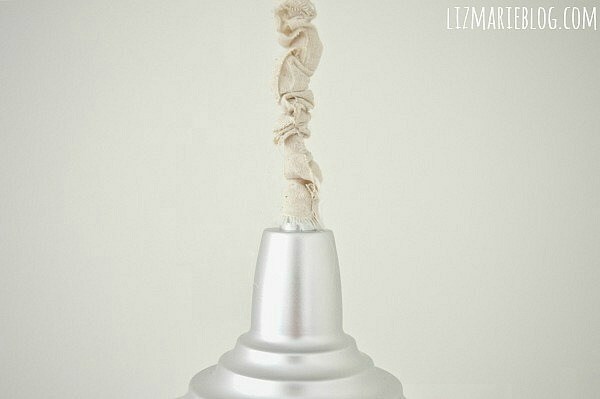 Here are some fast DIYs you can realize in minutes, enjoy! Imagine you’ve bought a stylish lamp that perfectly finishes off your home decor and there is one downfall: an ugly cord that spoils it all! Go buy some colorful suede cord – choose a contrasting color to highlight it or rock neutrals to fit the interior. Here the author opted for red suede to make a fun cord cover. 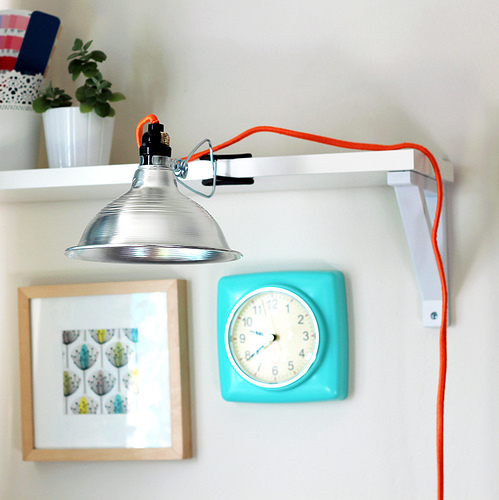 Get inspired and renovate your lamp cord, too! This tutorial is for those who enjoy macramé and want to add a relaxed and boho chic feel to the space. 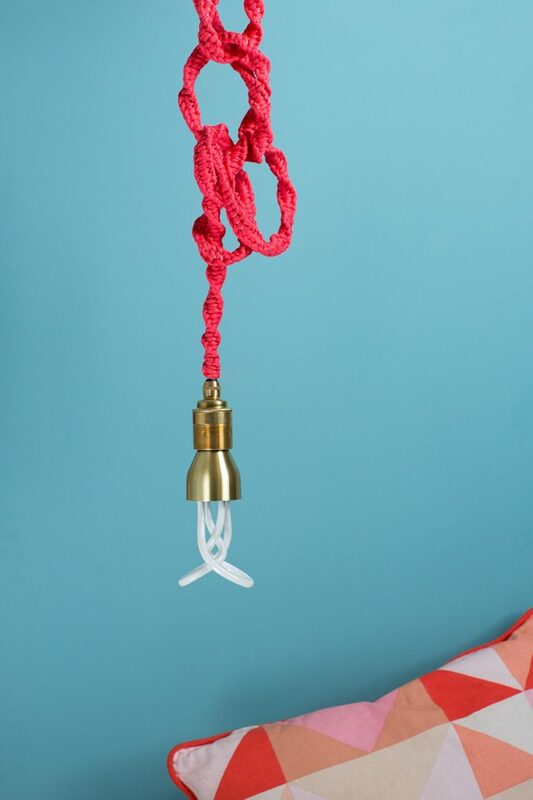 Take your usual cord and spruce it up with some macramé – prefer bold shades to make an accent on the weaving pattern. 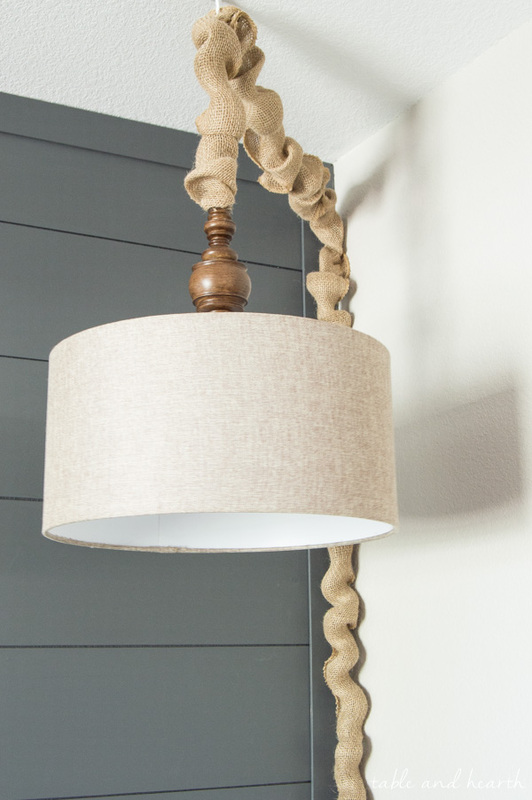 Read the tutorial to find out how to macramé this cord cover and make your lamp more stylish. 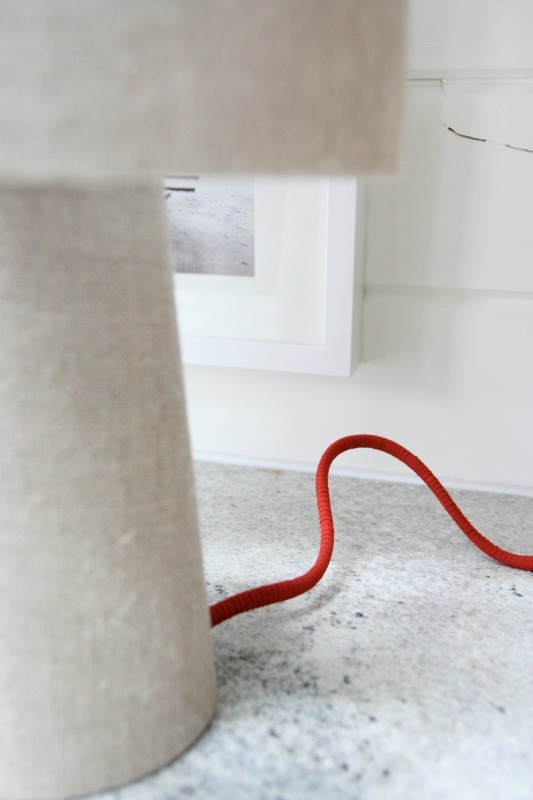 This cord cover is a very simple and quick idea: it’s usual red string covering the ugly cord. The wrapping takes a while: the author did hers over the course of a week or so in the evenings while watching movies or caught up on tv shows. When you need to take a break, just clip the cord and string to keep your spot and prevent unraveling. So smart and so cool! If you don’t feel like any weaving or macramé, try another idea: cover your ugly cord with burlap! Such open weave burlap feels a more casual vibe and can work with more styles than the usual farmhouse/country burlap is known for. Covering the cord with burlap is extremely easy and fast – no special skills are required! 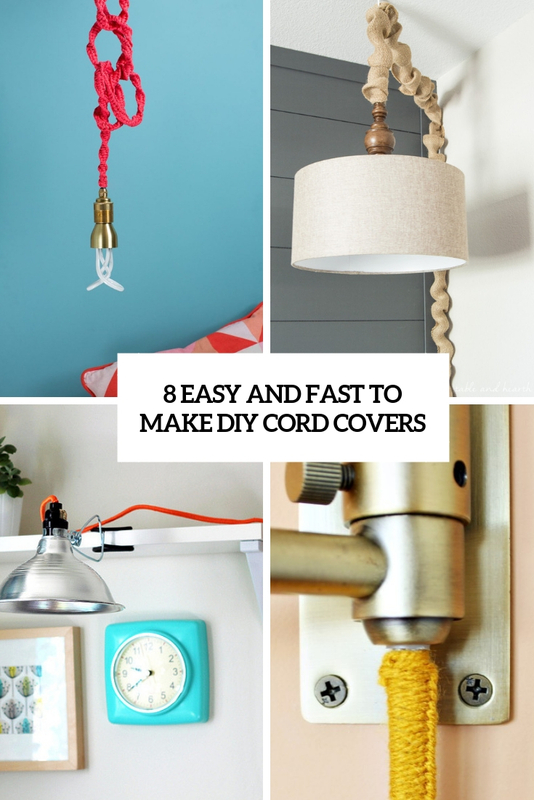 This cord cover DIY can be used on any cord, really! Not just wall sconces or lighting. 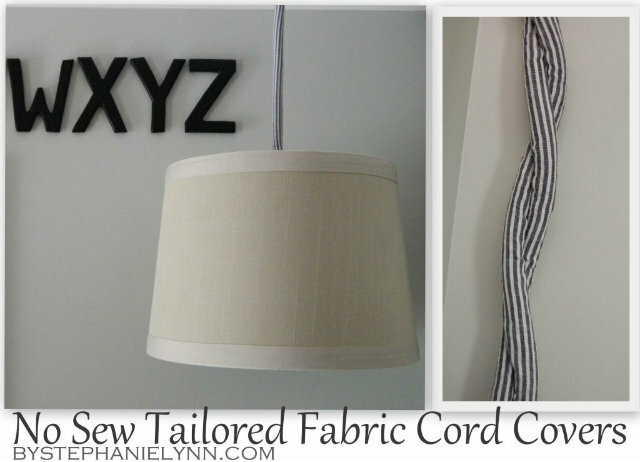 While it’s a super easy cord cover DIY, it’s very stylish and spruced up your lamp. 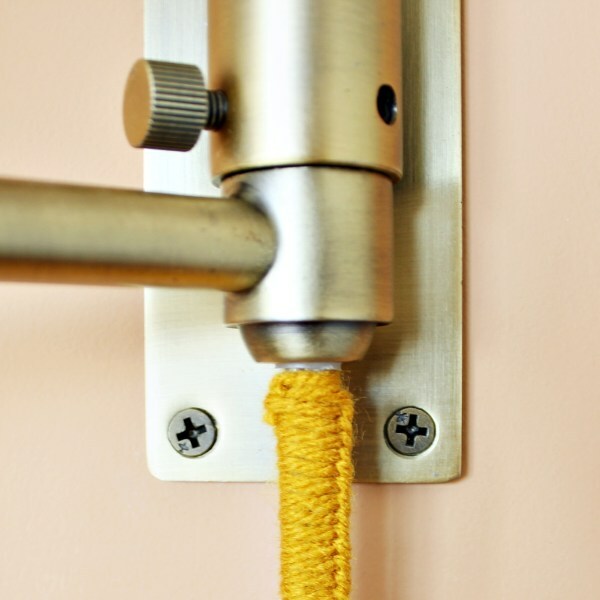 To cover the cords on different sconces, vary the pattern with different colors of yarn. If you want to do this simply cut one yarn color and tie your new yarn color and continue looping. Sometimes an ugly cord makes the room decor not harmonious and stands out too much. To avoid that, you may cover that cord with some fabric that fits your space decor. You could do this with burlap, colored fabric, patterned fabric, & so much more and you could do this with lamps, and any light, chandelier, any light with a visible cord or chain. Read the tutorial to find out how to craft this no-sew cord cover! I don’t know about you, but I hate seeing cords, especially those ugly ones! Even if you try your best to tuck all of them away out of sight, there’s just no way to hide them. Make them beautiful! You can use this DIY tutorial on lamp cords, TV cords, extension cords, computer cords, and even phone chargers. Just put on a movie and get to it! This simple tutorial will tell you how to cover the cord with colorful yarn in a stylish way. This tutorial is amazing for those who have a shabby chic or vintage interior – such floral fabric and ruffles are amazing to give your space an even cuter look! read how to craft this piece without any sewing and enjoy!